On the 28th of July An Post commemorates the longest defined coastal touring route in the world, the Wild Atlantic Way. It meanders along 2,500 km (1553 miles) from the Inishowen Peninsula in Donegal up in the north, right down south to Kinsale in Co. Cork. 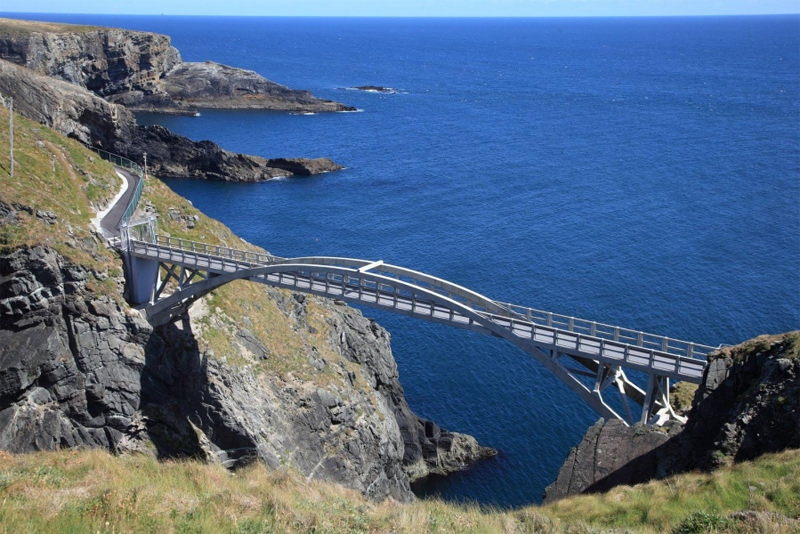 This route gives visitors the opportunity to truly discover the wild west of Ireland. It has some of the most dramatic and dazzling coastal views in the world and includes more than 150 discovery points along the way. These points of interest come from different perspectives of culture, history, nature or natural history. 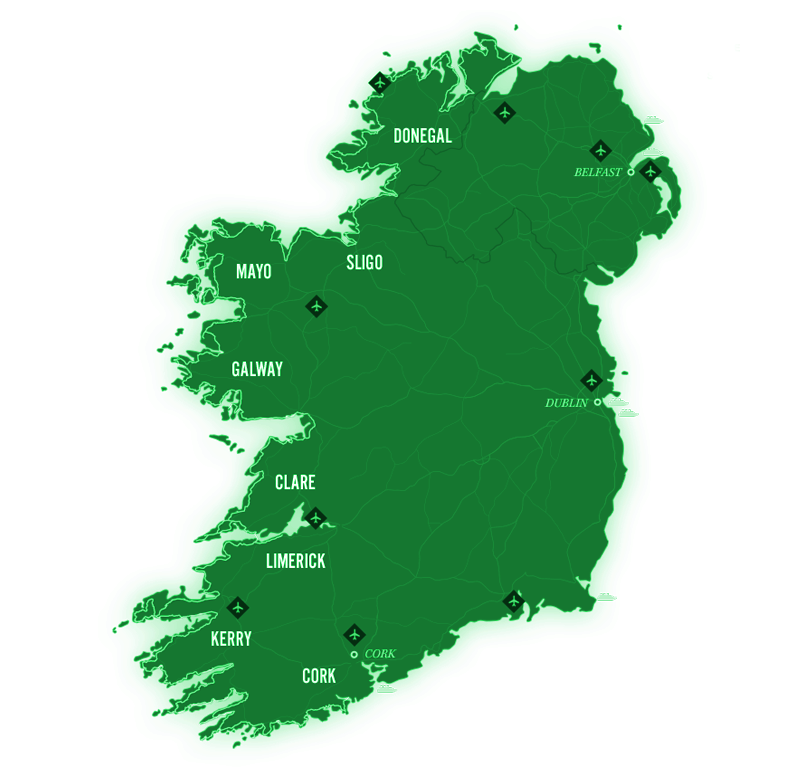 The Wild Atlantic Way (Irish: Slí an Atlantaigh Fhiáin) passes through nine counties and three provinces, and is quickly becoming one of the world’s great driving routes and tourist attractions. 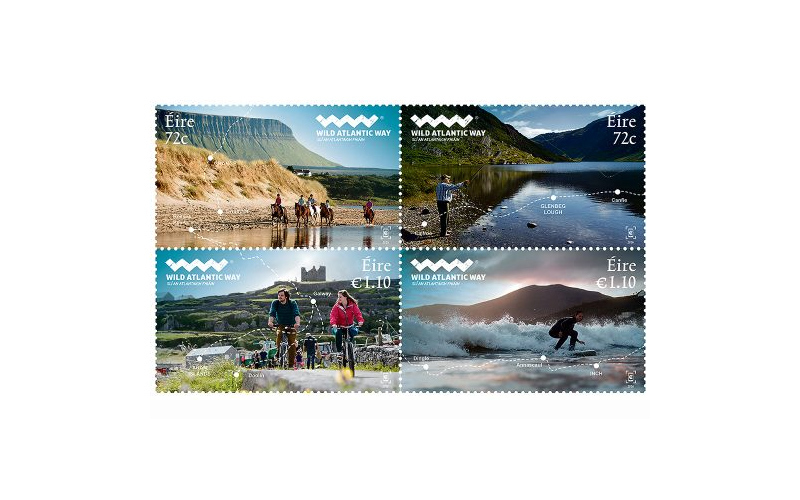 These new stamps were created by Red & Grey Design and feature horse riding on the coast at Grange, Co. Sligo; cycling on the Aran Islands, Co. Galway; fly fishing at Glenbeg Lough, Co.Cork and surfing at Inch, Co.Kerry.